Mel: Mark Evans is my guest tonight. He is the owner of Paronella Park, a hugely successful heritage-listed tourist attraction in far North Queensland that has been in his family for over 20 years. During this time, customer service has been not only been their biggest focus, but has resulted in their biggest marketing successes. In this episode Mark reveals the many ways his family and team go above and beyond for every customer to ensure their visit is wonderful - focusing on the little details that amount to a superior experience. Paronella Park has an active and engaged Facebook community of over 20,000 fans, and thrives on partnerships and referral business. Great to have you with me Mark. Thanks for joining me. Mark: Thanks very much Mel, nice to be with you. 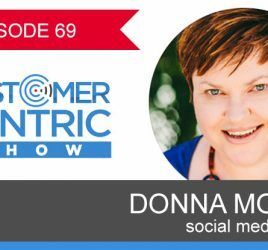 Mel: Now we start the show by asking every guest with an example of customer centric business is that they are aware of and what it is that makes them customer centric. What’s yours? Mark: There is a small but vibrant business just down the road from us. A business that is a carrier van park and it is called August Meeting and it is just outside in this farm and that business for years has had bit of check and career and new owners took it over just a couple of years ago. In fact I met the owner before they purchased and we had a chat about this exact subject but being in customer service and how people can improve their relationship with their customers. I must say that they have grown their business in a very short time which I think about 20 months now and they have set themselves up well and truly for this season to be to have a positive season and I think the things that they do extremely well is that they face it with the customer. On arrival, they took a bit of leaf out of their own book but they do greet the customer in the car park so the customer doesn’t have to be looking at around to whether that reception desk is. They also and I get to meet quite a few of those customer because they are also referred to our business. So you get a firsthand feedback on the experience that they are having and they always mention Julie and Cameron at august moon as having the ultimate in customer service and so helpful and I guess it is just as simple as being so helpful. Mel: Yes absolutely. I think of who do care even and the amount of times they come across new people who are heading in the opposite direction into them and that you know unless they got every sort of stop mapped out then there is a great potential for referral business for them because they can actually refer to them by name and say you know they come out to you and greet you as to searching around as you say then that’s a big differentiator I expect in that space. Mark: Yeah and it is the opposite too. The opposite side of the coin is if you are looking in good referral you possibly get in negative referral and for a long time we have looked at the value of things like social media and so on but at the end of the day if you have person at your business, at your door, ready, willing and able to purchase, if they leave and tell someone else, you really don’t have to spend a lot of money and time using other means that might cost money to get people to come back to you because those people that you looked after would be referring guests back to you. Particularly in the Caravan business. Mel: Yes absolutely. So many people coming across each other and sharing that news 100 percent. Now do you mind Mark giving us a brief history of Paronella Park, what it is? And the family background attached to it? Mark: Yeah look it is extremely hard to describe what paronella park is and quite often the first we say and you hear me talking a little bit later about meeting our guest but the first point I make is you arrive at paronella park, well and truly uncertain about what it is and that sounds strange for any business that you pull into the car park with friends to visit but still not be sure what it is and the reason for that is I guess there is no other place quite like it. it is a tourist park in North Queensland just outside the south at a place called Meet and creek, it is on the road that used to be the boost highway so it was the highway in 1960s and there was gentlemen by the name of Jose Paronella who came out from Barcelona around about 1912 and he saw waterfall just off the highway next to the highway and on the street called media creek and he decided he wanted to purchase that land and he finally purchased the property in 1929 for 120 pounds and his total dream and commitment was to present it as a pleasure garden. So to build castles and fountains and bridges and tennis courts and all these lovely pieces, and he built Paronella Park from 1929 to 1935 which is year he opened the park to the public. He actually planted it out with over 7000 trees and it was a hugely successful business. He had people from the local area. It was a wonderfully successful business. A couple of things about Jose Paronella, he was inspired by Gatti and work back in Barcelona. It was not an architect or builder. He was qualified pastry chef and so he I guess was competing against people saying we cannot do it and so it was a really and he harvest that in fact. It was a motivator for him to actually build Paronella Park against the words of maybe people that consider themselves more logical and the end result is he had a hugely successful business but only for a few years because in 1948 Jose Paronella passed away. He died at age 60 and I guess a couple of things that come out of that is no doubt he was the huge motivator and inspirer and dreamer for Paronella park but also we saw Paronella park to a degree start to fade over the next few years but certainly when things like highway diversion took place in 1960s, things really went quite badly and Paronella park fell away and it was in 1993 that we found Paronella park after spending a couple on the road with our children salivating this one different country and having someone suggest we might be interested in checking out this property called Paronella park as if it was for sale. Mel: Okay and so you always run it? Mark: Yes. There has been the Paronella has sold the property in 1977 and the people have purchased in basically abandoned a couple of years later and there were a couple of attempts over the following years to try and get going again but I think the thing that was lacking is we now own the freehold and if you don’t own the freehold it is very hard to commit time and for the dollars into something that maybe you are not going to get a full return on so it is a lot easier for us to be totally committed to putting an invest in the future and so we have earned it now for 22 years. We have been involved in all those years since we don’t certain say ourselves as anything else but doing this for a few years. Mark: We in fact just came back from Singapore, Julie and I for many years in computer industry and we had transferred to Singapore for 6 years and in the computer industry you got to move around quite a bit in those years back in the 70s and 80s and in 1991 we decided to head back to Australia as a time to ditch the corporate world and try our own thing. So we travelled from Perth that was where Julie grew up and so Perth we called home for a while but we decided it was time to look at Australia and take our children and show them what Australia is like rather than Singapore and we certainly looked at couple of things. We were looking down in Tasmania, we loved Tasmania but in the end it got a little bit cold and we decided it was time to head north and hit the topping. Mel: That’s it hah. So okay it is interesting because it is more than just resurrecting a business that previously existed so many decades before successfully and then you also have the potential obstacle of not knowing anyone in the area having to build the relationships in the partnerships with local business so that you can actually get some attraction. Was that a difficult process? Or was it a long process? How did you find it? Mark: I think it still is part of the process because one thing is for sure, you hit a key point on head when attraction has had a check in career for quite some years in business. You cannot go in and say well you draw a line and we start from here. You don’t start from there. You start well back from the line and it is a true handicap. For example we borrowed some money to have property in Perth and the bank manager I can recall when I made the phone call, he actually said yes I can setup a meeting for Monday. Can I ask you what you are looking at buying? And I said we are looking at purchasing Paronella park and before he even met us he said well I wouldn’t and couldn’t recommend anyone purchase Paronella park and so we may have some issues there about lending other money and we got there on Monday and some percent of listeners would enjoy this, he walked up and shook our hand in meeting on Monday morning and said I apologize. He said I spoke to my wife on weekend and she actually suggested that if the right people buy Paronella Park, that would do very well. So we finished up getting the things we needed to launch the property and buy the property and get things going. Mel: Wow that’s fascinating because it just come down to how you pitched it and how you imagine that was going to be and because you don’t have any product experience into tourist attractions at that stage. Mark: No and I think the effect that we haven’t had experience in operating tourism attraction probably helped us because we looked at it from a totally different perspective and something not bit naively but we looked at it as we being the tourists and I guess in that way you are really looking at it and saying how would the customer look at us and how would we like to be treated and I think that there were many people out there at that time where it wouldn’t happen. I think part of that was affected we know but I guess Jose Paronella never booked that one up either so we're taking a leaf out of his book which is the more we heard negative, probably the harder we worked, then we went to the bank manager we had a document possibly 2 and half pages long which was our business plan. He said he never received a business plan before. Mel: This is early 90s right. Mark: Yeah exactly so bank manager he basically sitting there and giving him the document and in those years if you are in business you take business plan to manager but in country original Queensland it wasn’t certainly the case. So it was very interesting thing and exercise and once we purchased the property I think our business in computer industry and corporate world came through. The first thing we did we got a document together which was look if you look at you go at business plan but it wasn’t a plan and what it was is it was the list of some 60 things we had to do to paronella park to get going again and that was very important. So it was simply a list 1, 2, 3, 4 and just went on and on and we were sitting there and buying this all in and a lot of them just got things like cutting back tree or creating a little bit of an area where you can put something. You know they were simple but the things we have to action and you got to remember those days it was Julie and I and 3 kids. Mel: Mark you said something before and I really liked that phrase of being the tourist and I know that there are a quite few things that you do that you are actually thinking about the processes. Obviously it starts with as you mentioned in the park, you actually come out to greet people or your family and employees come out to greet people and you do other things as well. Can you talk us through the process that you have actually created to make sure that experience or that path to your business is actually as wonder as you would hope it to be? So that people would refer you. Mark: Yeah. It is interesting because you look on and reflect on all these things like trip advisor and you get to go online and you can see there is one way this morning and I looked at it and it is hit up BT and I spoke to BT yesterday and he said I am going to put up a trip advisor. This is wonderful. Now that was on departure he told me that but I think the most and it is very hard to say what is being key to our success in terms of being all together but I think greeting the customer early on, we picked that up in Asia and quite often when we go out to dinner when living in Singapore, we get greeted by the owner of the business that might have been a café or a restaurant at the front door and that person was almost placed and it happens in café sometimes as you know when they already know that you are having a large take and so the order is placed before you sit down and they probably say good morning, sign again and so that’s what happens. It is all to do with developing a relationship. So as soon as a person walks up to you in a car park, you probably a little bit surprised so I very quickly say welcome to paronella park and I ask couple of questions obviously just interfacing where you from? Have you been to Paronella Park before? And you get a huge amount of information from just those couple of questions and all of a sudden it starts to work. Now if it is raining in north Queensland, we get a lot of rain. We have one of these and it is called umbrella and in fact we have hundreds of it and we give those out but we don’t just give them out when people come in, we give them out at the door of the car and you see the smile on people's faces, they change, they change from oh dear this is terrible day to walk. That is amazing and straight away. Now the other thing that’s tied into that is we had some disasters along the way and later on we might talk about the disasters of cyclone but some of our best decisions actually came out of having disasters. It actually made it stronger and one of those was we decided with every person that visited paronella park, that they took ticket that not have validity of two days, five days or a week, but it would have a life of 2 years. Now that’s sounds great. Mel: What was the thought process behind that? Mark: Well the thought process of the time because the cyclone we had was not leaves on the trees and people would like to come back and see the park with leaves on the trees and the re-growth but it was so successful we didn’t change it and now we have people come in morning and they will be arriving there right now and they would be visiting and they would be offered to 2 year past. Most of those would get the pass on way out and say they actually turned from being oh we wouldn’t be back or it is unlikely we would be back to we might just come back here again and do the night tour or it is been raining today so we would like to come back when the sun shining or we like to come back and bring a picnic. Now the ultimate of all this is not only do they come back but more than 70% of cases they come back bringing guests throughout paying customers and that person that’s walked those 2 or 3 guests and sometimes it is 10, has introduced them because we have given them a very easy return platform to come and see paronella park again and the great thing about that is that card that they have that still 15 months or 2 months left on it, we expect to be in 2 year pass again because they introduced guests to us. So we founded to ha hugely success marketing tool. As you know very often when you go to tourist destination, you don’t go back with your visitors because you got to pay your admission again. So this we don’t charge for it. It is no extra charge. It is inclusion in that whole thing and we give as I said umbrella and we also have a campy area in park and again a decision we took. We said if you buy a ticket to Paronella Park, you can have a free night in caravan park. Now it is power sites on. We have 20 power sites. So successful has that been? I think we are first caravan park in organization to a new caravan in our region and that is for some 50 years and that caravan park the new one will have round about 60 sites in a couple of years. Building 20 initially. So that’s how successful it has been. Mel: So what you are doing me making yourself a destination and you are actually making it easy for people to have a different caravan experience, location wise than what they typically would have but yeah you are making it very easy to come into the business and to come in to discover what you offer. Fantastic. Mark: And of course there is many other things we find that kids relate differently to adults and we have these little palettes that we give out to our guest and that’s containing fish food and turtle food and all of a sudden as you know parents and mom thinking that kids will enjoy it. Well the kids have a well over time and so really looking to that and we use containers that are re-usable. We give our guest a little booklet and this is the listing of the trees and it is tied into another part of the facility. We also have the member in sky walk and later on we will talk about the hotel we purchased from local. The fact is we now have a destination and we are able to feed those people through a country pub experience and we have expanded and it is been marvelous thing. I think the other thing is the international guests. We now receive almost 20,000 Japanese visitors and we also receive as growing as the Chinese visitation as close to 20,000 but that didn’t happen by chance it was a decision we took to employ staff to look after those guests and of course now we have documents and sign in both Japanese and Chinese language. Mel: What I like about all this Mark is I liked to see that you really have been thoughtful in whole process. Mark: Yes in fact we have Chinese staff member there that actually works there and she interfaces and sometimes things go wrong and it was possibly couple of errors early on that caused us to just make that move and now the end of result of that is we get more people going there and of course the menu is little different. We do serve crocodile and buffaloes and we do serve kangaroo and you find that this is part of it and I think person from Australia going to china or japan would like to taste the national foods and taste of those countries that’s what we are looking at. Creation of the destination came about through greeting visitors at the front gate and it still happens. A Japanese girl walked to me and said I can tell stories of Jose Paronella to Japanese in their own language and that person’s attorney is still with us today and that’s about eight and half nine years ago. So it is an incredible having 4 Japanese staff and the impact that all of that information comes when you know your markets and you know who is coming to the front door and you get feedback so lots of positive feedback. That’s a wonderful way to get feedback and ideas how you can make your experience or business improved. Mel: I love it. Turning the problem on its head and looking at as an opportunity on a way to do things better. I love it and I know too in terms of what you are doing to make your experience unique and helpful is things like providing phone charges, those things are sometimes makes people anxious if somewhere they are not familiar with and they realized they don’t have much power in their phone and those sorts of things and selfie sticks I know you offer while people are there too to help capture that in a way they like too. Mark: Yeah and selfie sticks seemed like a simple thing but if you can tie into something you already offer like free Wi-Fi before they meet, they actually told their friends where they are and so their friends who are planning their trips next year too in Queensland already decided where they want to go to and that is a very powerful tool. You don’t stop change and I think the other thing is that we really do turn everything on its head and quite often their staff may not like that but we want every staff member to be able to work in every area so if there is someone and there is a bit of queue developing at ticketing but someone else can jump in there and yes that person then goes over and made them take a tour but we talk about the whole concept the moment the greeting takes place. In fact we go one step before that from the phone call that comes in 2 days earlier when someone asking for directions or just wanting a bit of information about whether they can bring a picnic? Yes you can. Yesterday I allowed a lady that said that she has never visited a tourist attraction where you can actually take your food in and you can consume it in the tourist attractions café at the tables and I said well it happens very rarely so it is not something that is going to mess up our café service. It is a great little piece and you know some people don’t allow and ask to meet their particular needs. So they just love to be able to sit down but they can go in the park as well and take a picnic but to be able to offer that it is really important. I think the simple one of the moment regulating days is the water. We give away a lot of water and people refill their containers and I actually mentioned in the car park you bring in your containers in, re-fill them and you can use our supply rather than purchasing water. Those people I am absolutely positive they still spend as much money at Paronella Park as they spend on something different. It may be a food of another variety, it may be ice cream. So you know when you make your own ice cream and using the taste of the region, still allowing people to taste like this and say yes it is really these are the things that people said they like to be able to do. Mel: And these are the things that people share when they talk to others about the experience right. I am sure to see a lot of these things appearing in our reviews and things that just resonates with people when they making a choice. This is great Mark. I love this and actually got goosebumps because I am such a lover of all things customer centric I just think wow you really got this covered and you obviously clearly not resting and sort of thinking we got it, well we know what we are doing and you are constantly looking for ways to improve the experience to make it even better and that’s just brilliant. It is constantly an evolving process and that’s the way people are going to benefit business and customers as well. Just keeping that process in motion all the time for better ways to do things. Now I want to talk to you about your customer engagement. You referred to people posting on Instagram or Facebook about connection with the brand online so that their friends can see when they turn up. Can you share with me some examples of the benefits that you have from using social media in any approaches? Mark: Yes look social media is an interesting thing. I am not a personally a big user of Facebook social media yet I always look at that as a slice of the pay there is 20 or 30 areas of possibly ways that you can do and work on to improve your business but one of the key ones has been just keeping in touch with our customers and we know that it actually goes back beyond that now we recently posted a Facebook series of 3 photos and I can remember making 3 phone call to the park and we said take a photo at 11 20 because water was rising at the waterfall. Now many of your listeners can actually go to Paronella Park and Facebook site to see that photo. Now what they don’t see is the full impact that have. I think the numbers were 10,500 views. The shares on that photo were 5700 but what you don’t see is shares beyond that and when it went to channel 7 and ABC and went to all these amazing places which you can now track and see where it has gone because they contacted you and said can we use and get some footage? Can you get some footage for our news items and so on? The impact was nearly a million people had that opportunity to see those photographs and see those paronella park and the water was rising in the lake and the waterfall getting stronger. It gave us huge amount of coverage in TV and news media. The details were used in print media. The third thing was you mentioned was 30,000 plus followers on Facebook. We friends and that number was 15 and half thousand before that piece hit the Facebook site. But probably all of sudden just comments of thousands of people gave comments what a wonderful place but quite a few comments were where this place is? And the question was answered by north Queensland and oh we got to go there, this is wonderful, but probably the biggest impact was in 2009 when we didn’t even hardly use Facebook. I think it was 2009 the RACQ ran a campaign for the top 150 things to do in Queensland and we actually used our newsletters that we post and send out and of course newsletters nowadays are less used because Facebook is a much faster mechanism and so on but the newsletter just asked people to help out and back then you can vote on the top 150 things to do and there was a list of 150 attractions and places and café and different things to do in Queensland because it was 150 years of Queensland being celebrated and paronella park finished up number one. The second was phrasal Ireland, third was Australian zoo and when people visited you might say prolyl you got to live up to number one in Queensland and it was just beautiful because people that came saw that was number one. Came out afterwards to the person that greeted them and very often that was myself and said well it is certainly number one. It is one thing to take out something like but it was another thing to deliver at a level where your guests feel wonderful to the point of yes it certainly deserve that award. Mel: Yes absolutely because that can be the challenge can’t it? You know I saw those photographs in my Facebook feed Mark. I don’t even know who it was friend of mine that shared those photographs but I remember seeing it and so when you and I had contact, I connected it all of a sudden now I didn’t research it into or anything but connected with me so it was an amazing opportunity for brand awareness I guess. Especially if people are really interested in that. I am interested to know though in terms of trackable conversion. Did you see in flux in inquiries and ticket sales as a result? Mark: Yes we did. Online sales on my bookings certainly grew. Online booking we sort of expect to grow it with year because it is something growing faster and one of the reasons is for example the Chinese market is different but it is market that has quickly moved from tours and they still doing tours but now they are hiring vehicles and what we call FIT free independent travelers and they turn up on our doorstep may be with the kids if you like within Melbourne family coming down from Taiwan or china and so that they gather in camps and come down together. We see a lot of that and they very often book online and it is all planned out so they know the Tuesday next week they coming to paronella park. They already purchased the ticket. They know that’s done. They can put that to bed and all they do is they turn up and online bookings is certainly something that was reflected after that Facebook. We have been more growth that we expected. It is hard to measure some of these things because you don’t have that call to action that you might have. So you cannot say bring this along and receive this. So it is a lot harder and yes you can ask but very often it is word of mouth. Now word of mouth is very likely comfortable person that saw that Facebook piece and decided we will tell this person because they had it on with friend of mine but I think the key of part of it is having someone in your organization that is not only familiar with Facebook but it has a real connection with the park. She absolutely embraces Facebook and she makes it happens. So it is the words that go with the photographs. They capture people's imagination. If we can get a beautiful photo and present it with words that capture people's imagination, it works and it is very powerful. Mel: So would you say Facebook is your number one marketing tool? Mark: I cannot say it is the number marketing tool because if we ask the person at the front gate how they got there, it is more than 80 percent simply the words we were told not to Miss paronella Park. So it is that powerful but I still think that keeping that person down in Melbourne or in Adelaide front of mind paronella park through Facebook, that then triggers their ability to turn to their friends that they know are visiting. Again 2 or 3 days ago car van pulls up, they said some of their friends are just in paronella park and knew they were in region or care van and they and they said whatever you do drop into the paronella park and those words are used just all the time. Interestingly they too didn’t know what paronella park was they just arrived. Mel: Wow that’s a great draw card and you know can I talk to you about partnerships? Because I wonder whether you also have connections with other local businesses to help drive that. you mentioned caravan park, do you have series of partnerships that helped sort of back and forth between businesses? Mark: Yeah we are about to go to Japan and we will be talking about Roscoe, the Italian restaurant in town. They look after our guests and it is strange that we don’t take away from existing businesses or other growth. Now when we go to japan we talk about paronella park, we talk none other than skywalk that operate and we also mention Roscoe and Ross from Roscoe the number he believes is and he has done the calculation it is 25000 people that are being served and those people were and are on their way to paronella park per year. So I was actually there last night and it was another meeting there but it is thank you and there is no doubt it is interesting because we don’t go chasing that. That person came and spoke to us. Just recently we had another young guy started new tour and it is crocodile called snapping tourists and he reminds me a little bit of us when we first started. Bubbling up with enthusiasm and he just needs a little help and it comes out quite often and I was just getting little bits of advice and you know told in the normal things to start a year or so. It doesn’t happen all over the night but surprisingly it is going very well for him and we are able to refer our guest to him and we refers guests back to us. I had some English guests the other day that went with him other morning in the afternoon. They came out to see us but we have got to the stage now where relationships with business also goes a bit further. We accept the opportunities to speak and get involved and sometimes it doesn’t take much as many of the people listening to this discussion. It doesn’t take much to get involved in local community group and business groups and so on and so we very much involved in our local tourism organization on the region having met up involved in Townsville for enterprise people on their tourism committee and what you find is that gives you on trade to other businesses and I think it is no doubt you have to question how much it impacts someone on your business but I think it gives you really an opportunity to just more than anything come up with new ideas that we are interfacing to these people because you can see and hear and discuss things with people and sometimes you can have real reasons to leave and to go might be a 3 hour drive but it means you are away from business and you can meet people and come up with new ideas. You said it earlier, it doesn’t stop. If it stop we are going backwards and Julie would be the first one to agree. I get almost paranoid about this thing. They got to keep doing it more because there is another couple of businesses up north and there is a couple in south that we have to keep one step ahead or three steps if we can. Mel: Not only creating community to people in the park but you are creating community within your local area which is fantastic but I also really like the idea of partnering or creating relationships with businesses. Typically we would not partner with a competing business. But I actually like that you are looking at that from a perspective that we do have a restaurant and they do have a restaurant but people are not just going to eat at our restaurant every night and people are going to looking at that variety and experience and so you can actually both leverage from that. Mark: It is correct and in fact there is a couple of points I make there. One is that when greeting people, their departure question is what else is there to do in the area? And that’s a key one and so listening to people and say wow we have this member walk away and another wonderful experience to their visitation to the park and so we do ticketing and so on but I can tell you that it is working for computer industry. I never forget being in Seoul in south Korea and I was coming in from the airport and I noticed all these shops and there must have been 50 of them and they all selling the one thing and this bridal wear so we are talking about brides and wedding dresses and so on and you sort of think 50 shops in a row. Where are you going to go and shop if you're after and going to get married, you going to go there and there is no doubt that’s what you're after and if you look at the region here, really people hit to the table and what we seen is let’s get people reason to some South and a significant part of your experience when you are travelling is eating and the taste of the region. So they having some different types of eating in terms of pub and café and restaurant. This is the way to go. We are able to do it and yes there is ice cream made of local fluids and crocodiles served at your local pub and having things at prices that surprise people. It is not like big smoke you know. If you have a piece of crocodile in Sydney Melbourne can be a bit more expensive. Here at the pub you keep the price at lower heads. Mel: Yes absolutely. there is so many things and I could definitely come back and talk to you more about this in more detail but look can you tell us Mark if people want to learn more about what you are doing and what to know how they can access paronella park, where can they find you? Where are those locations otherwise? Mark: Well online obviously it is we have a website if you google paronella park. You will certainly find us. There is lots of mentions. I think the other thing that we do that I now can help and may be in some occasions we actually turned people off going to business because we don’t paint a picture of easy and successful. We hear someone say we are going to retire into B2B we know they are on wrong path and so for the business perspective we do open our doors to talk to people and very often we sit down and have a cup of coffee but we are happy to take causes as well as to have people making queries. We love to have people listening today. Come and visit us and very likely we will be on front meeting then. Mel: Yeah absolutely. It is on my agenda. I am going to be there within this calendar year for sure Mark. I really want to experience this and see it and potentially document a little bit more too because it just sounds absolutely remarkable. Thank you so much for really lifting a lid on your business and sharing with us how you do things and the thought processes involved. Really grateful for it. Thanks for your time Mark. Mark: Well it is my pleasure and thank you Mel. 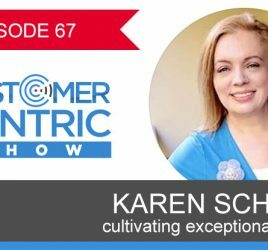 Thanks for listening to the customer centric show. 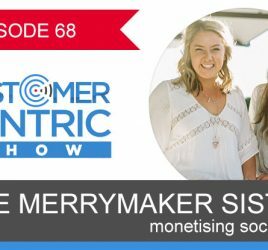 For additional smart ways to attract more customers, profits and freedom, head on over to the website www.customercentricshow.com. Mark Evans is the owner of Paronella Park, a hugely successful heritage-listed tourist attraction in far North Queensland that has been in his family for over 20 years. During this time, customer service has been not only been their biggest focus, but has resulted in their biggest marketing successes. In this episode Mark reveals the many ways his family and team go above and beyond for every customer to ensure their visit is wonderful – focusing on the little details that amount to a superior experience. Paronella Park has an active and engaged Facebook community of over 20,000 fans, and thrives on partnerships and referral business.